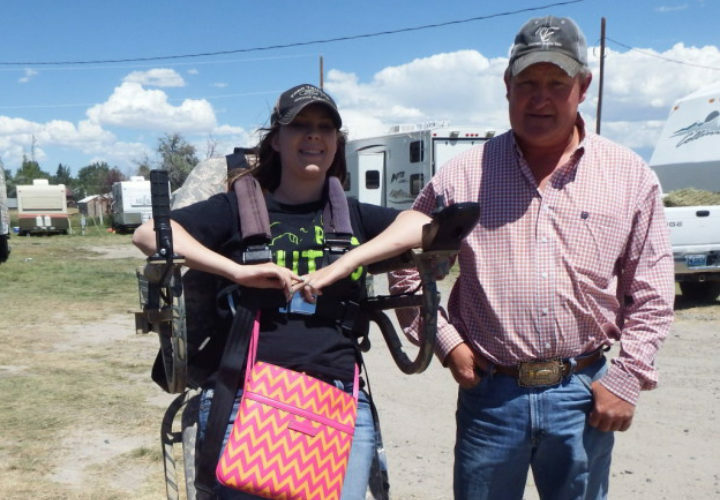 For eight years, spunky 18-year-old Harlee Speyer of Riverton, Wyoming has shown pigs at the Fremont County Fair. This week, she again showed a pig – a sow she named “Pearl,” short for Paralysis. This time, however, it was from a standing track chair. 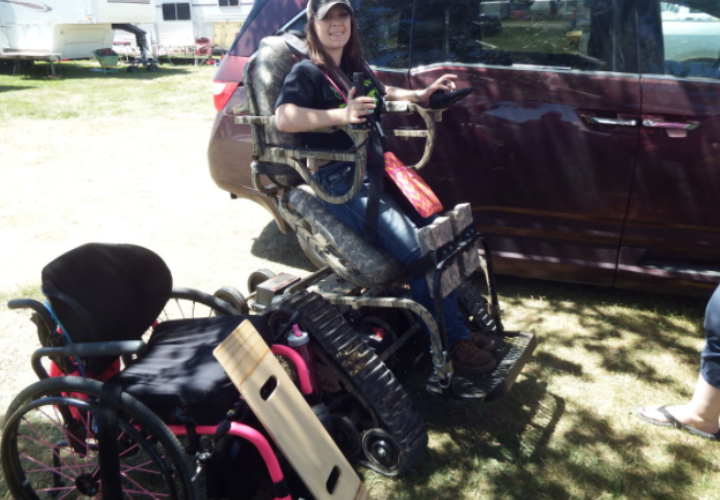 In June 2014, Harlee was in a car accident that severely injured and partially paralyzed her, leading to a nearly four-month stay at Craig Hospital. In April, Harlee spent her spring break at Craig for re-evaluation. But she rushed back to Riverton just to buy a pig. Harlee used to play volleyball and was a cheerleader, but FFA is no walk in the park, either. 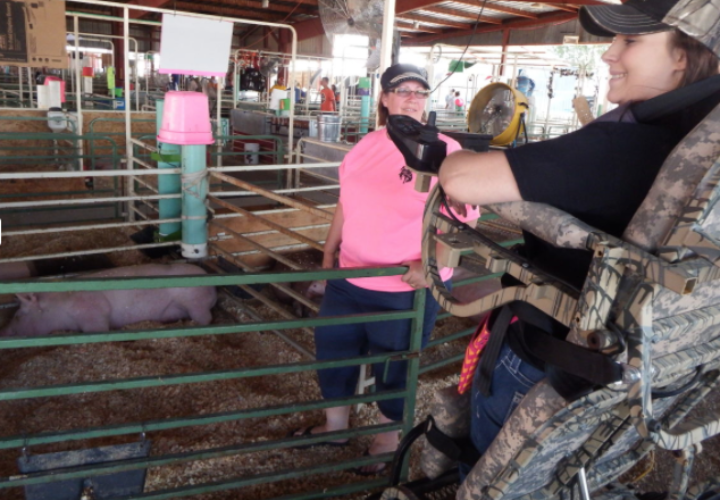 Fair pigs must be fed correctly to make market weight (up to 280 pounds), and taken for daily walks and trained to be exhibited. Pearl still lives with her former owner, since the Speyers had to move to a home in town that was wheelchair-accessible. Every week, Harlee goes to the county fairgrounds to practice and spend time with Pearl. Pigs aren’t accustomed to mechanical contraptions. But Pearl and the other fair pigs have easily gotten used to the chair. Harlee, the 2014 homecoming queen at Riverton High School, has always been “a girly girl” and plenty sassy, according to her mom. In fact, when Craig therapists encouraged her to remove her long acrylic nails, she kept them nearly throughout her stay there. Even after missing four months of school, Harlee graduated with her senior class in May and is now enrolled at Central Wyoming College in Riverton, where she’ll study psychology and social work. She hopes to one day return to Craig to work or to open her own practice, possibly as a neuropsychologist, to help people with spinal cord injuries and PTSD. 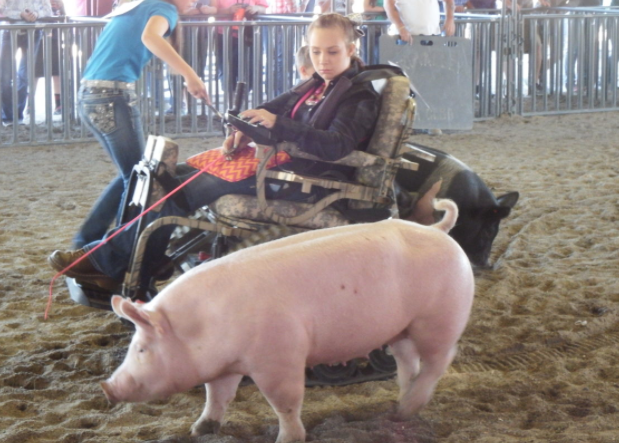 Update: On Monday, July 27, Harlee's Pearl placed 2nd out of 11 pigs! Congrats Harlee! Read the story from Harlee's hometown paper. I wanted to show all the little kids that just because you have different abilities doesn’t mean you shouldn’t try. You can do anything you set your mind to. I hope that sticks in their minds as they grow up.